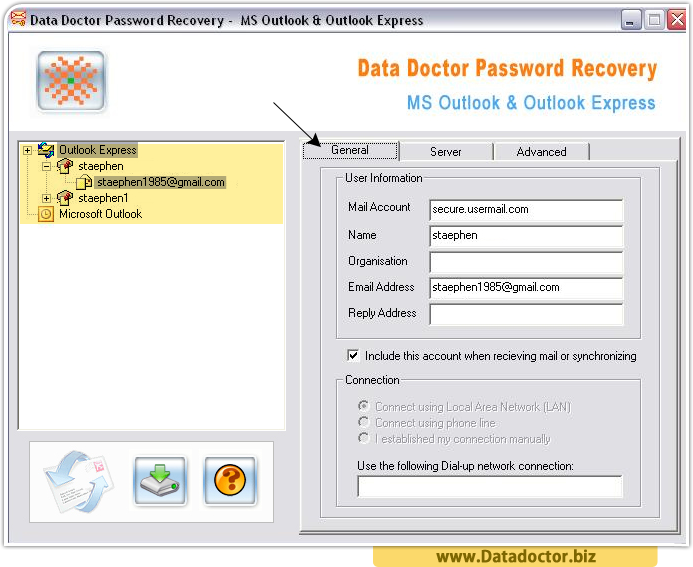 Data Doctor's Microsoft Outlook and MS Outlook Express Password Recovery software is a simple easy comprehensive functional utility which allows you to recover all saved E-mail and News group account passwords lost or forgotten (when created on your Outlook express and Office Outlook popular E-mail accounts). 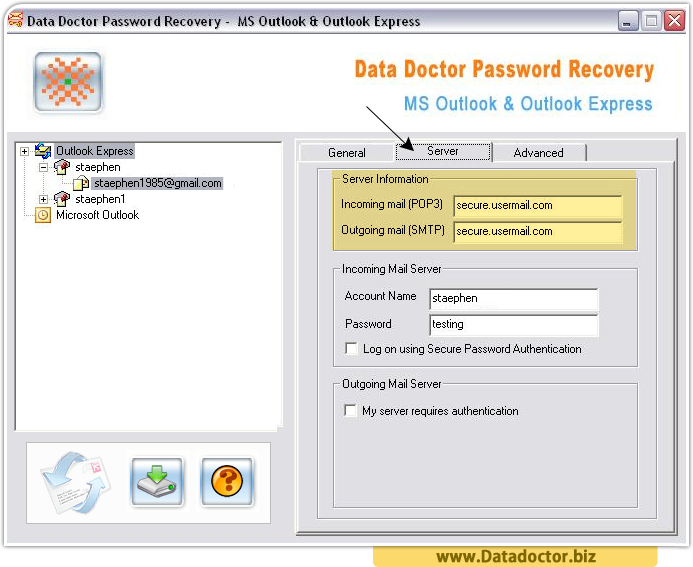 The program similarly restores all “Identities password” from your local MS Outlook Express records supporting with all versions (4.0, 5.0, 5.5, and 6.0) of outlook express and Office Outlook (2003, 2007). 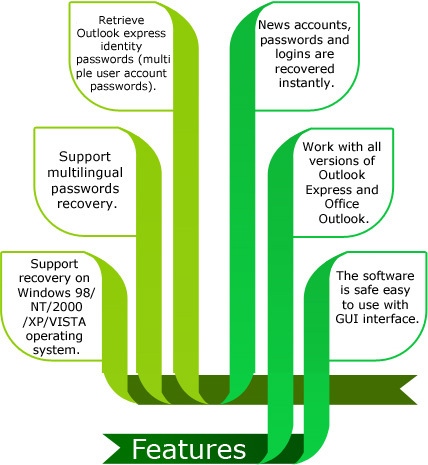 This GUI utility is very handy to use which recovers all user records including server information (Incoming Mail Server/ Outgoing Mail Server account name and password) and server port number for advance users. 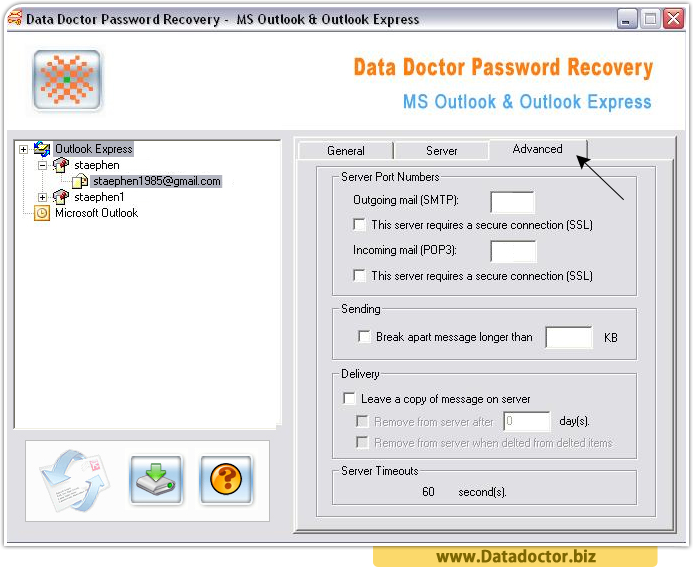 In addition, the software shows the complete list of Outlook Express users together with their identity passwords and allow saving the recovery in text file for future reference. 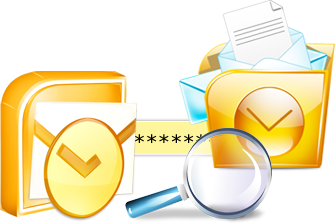 Go to General Tab to fill your User information including Mail account, Name, E-mail address etc. Now go to Server tab to provide information about Server, Incoming mail server, outgoing mail server. Finally in advanced tab, specify server port numbers, sending, delivery etc.